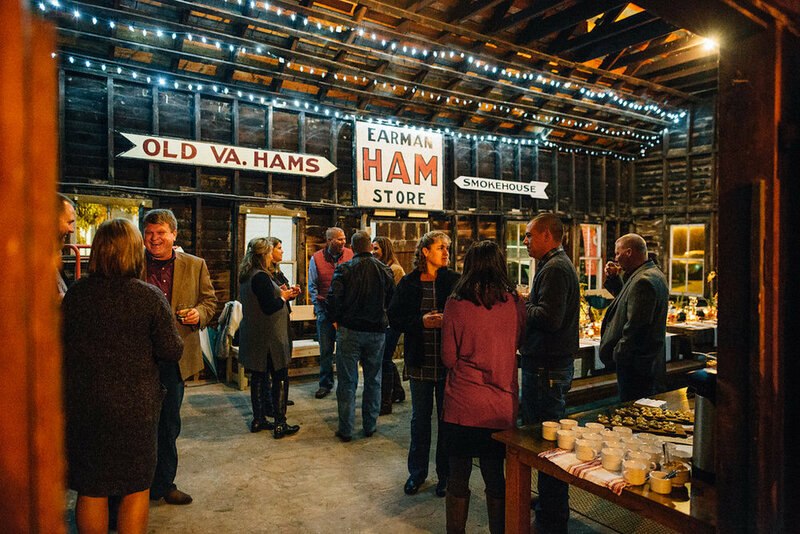 This event was auctioned off at the Harrisonburg Rockingham Free Clinic Gala in February for a whopping $3,500 by the generous folks at Pendleton Community Bank. 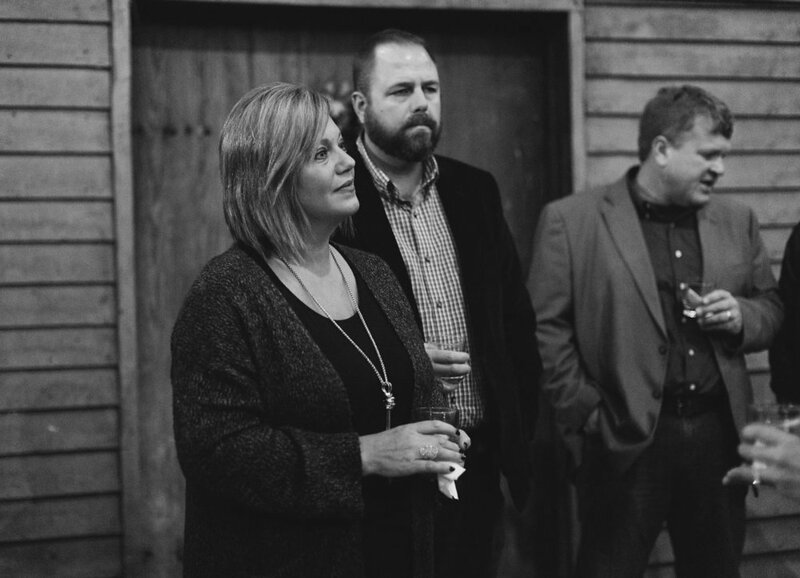 We were so happy to be able to benefit such a great organization and have fun at the same time! 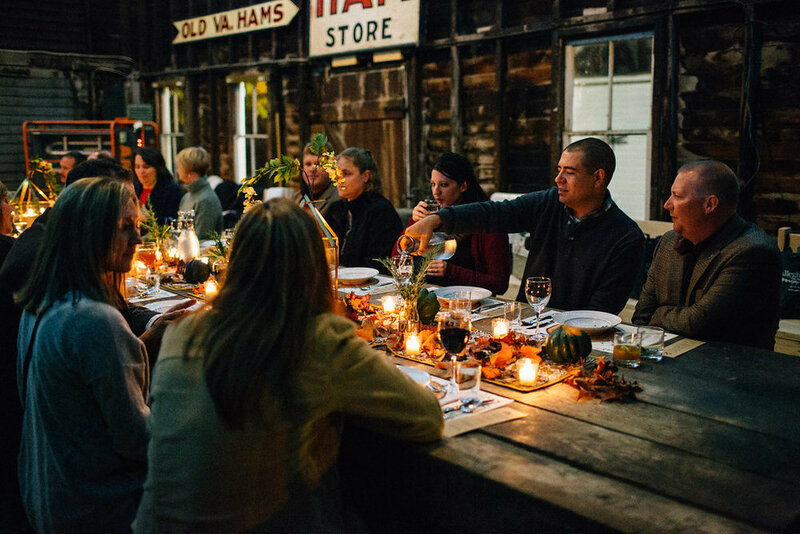 Held at Maple Leaf Farm, circa 1840, we created a cozy fall dinner in the smokhouse. 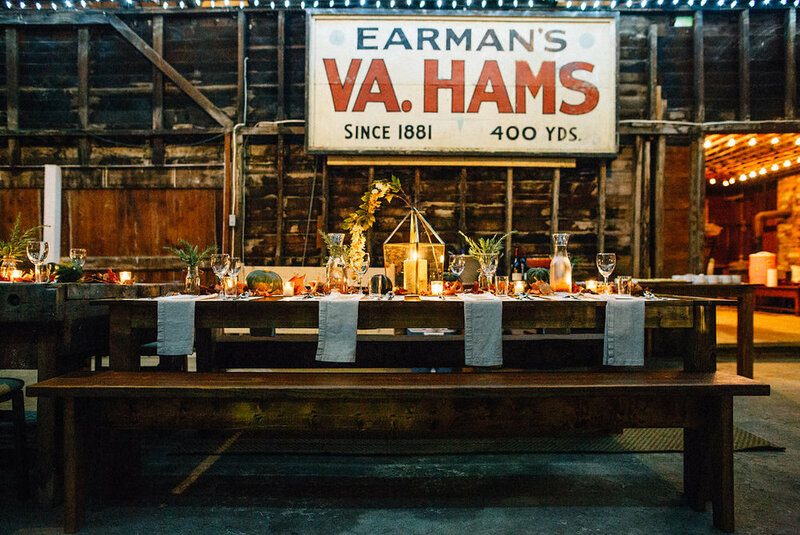 The original owners of the farm cured Old Virginia Hams during the winter months in the smokehouse. The charred walls and hanging hooks remain to this day. 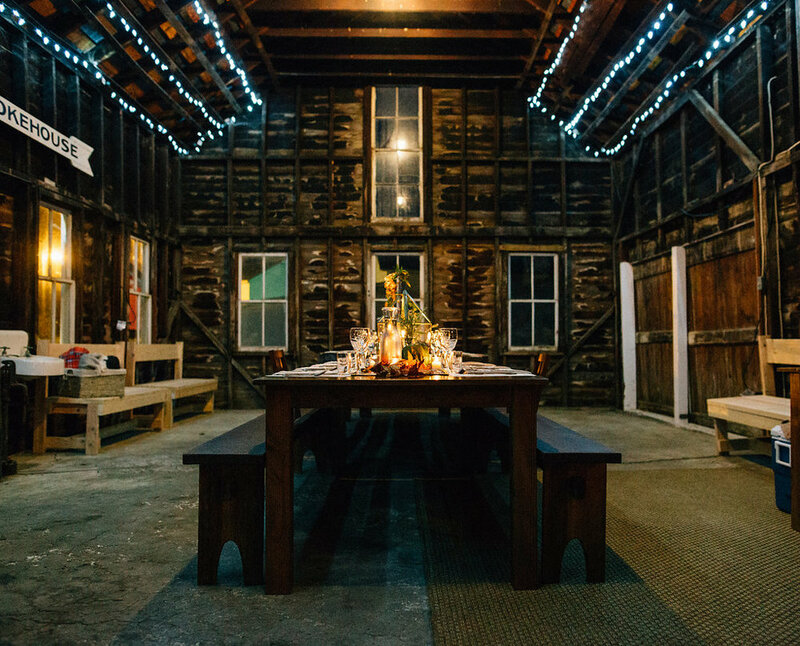 In an interesting twist of fate--and unbeknownst to us when we planned it--the second owner of the farm, George Aldhizer, was a former board member of the Free Clinic and used to store the gala decorations in the smokehouse! 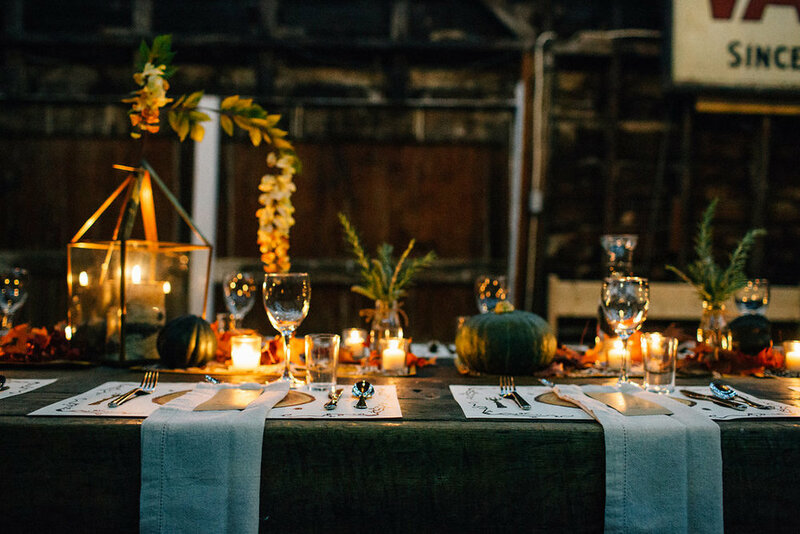 The third and current owners, Steve and Tina Wright hope to use the farm and restore the large barn for weddings and private parties and were gracious hosts to Sub Rosa. 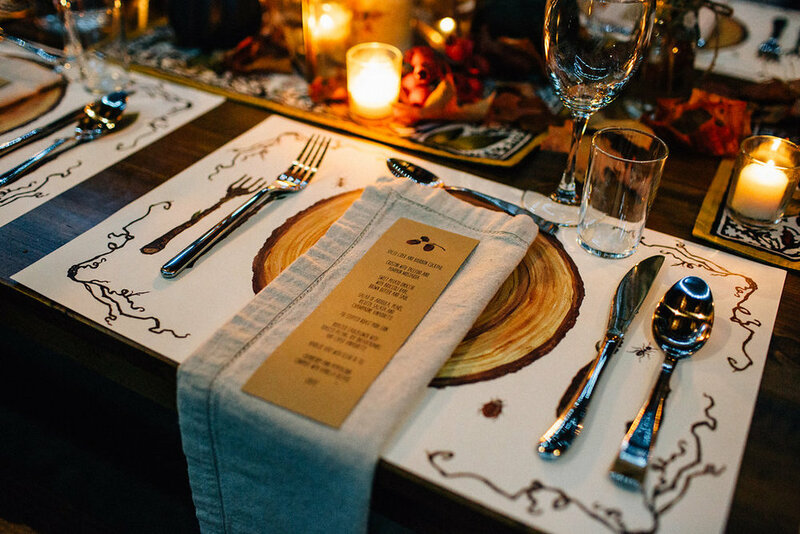 Photography by Sarah Featherstone Photography.